One of my absolute favorite thing to photograph is the galactic core of the Milky Way. There is something about being out in nature, under a starry sky that’s so addictive. In this article I’m going to show you how to find the Milky Way, the equipment you will need, and how to photograph it. Ok, first thing’s first. How do we find it? Where is it located and what time of year is it visible? In the Northern Hemisphere, the galactic core is visible from February to October. The prime viewing window, where it is visible for the longest period of time, is April to August. In the Southern Hemisphere, the core is visible from February to October, slightly longer than the Northern Hemisphere. Technology is your friend. Use it. 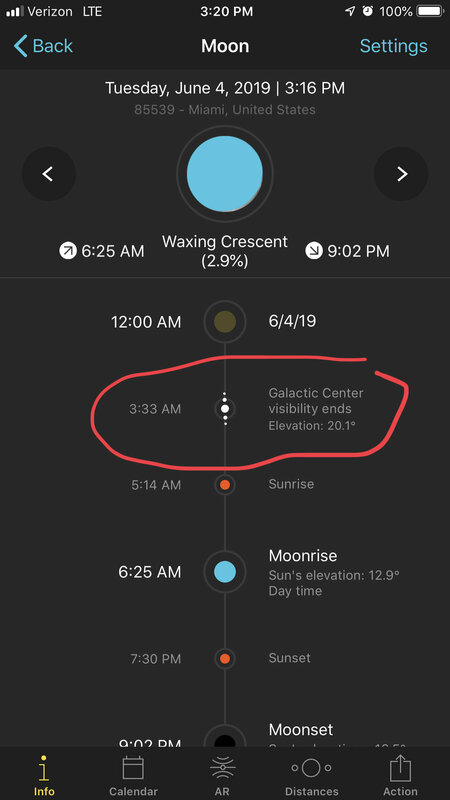 There are some amazing apps that can give you the EXACT location of the Milky Way, visibility times, and its movement across the sky. My favorite app for finding and photographing the Milky Way, and just about anything photography-related, is an app called Photopills. It is available for both iPhone and Android for $9.99USD. I have a video on my YouTube channel on using the app and finding the Milky Way as well. There are also desktop apps for free like Stellarium. Next, plan around the new moon. You do not want to have the moon in the sky at the same time as the Milky Way core. The light from the moon will block most visibility. Even a moon at 20% will block visibility. The core will rise in the east in late spring and fall, will move towards the southern sky in mid summer, and be southwest in late summer/early fall. You can use the app to see exactly where it is as well as see the moon phase, so it’s invaluable when planning a trip. So now that we know its location, and the best conditions to find it, we have one more problem to deal with, light pollution. Now light pollution, quite simply put, is light coming from any city or town. There is a reason why you can’t stand in the middle of New York city and see very many stars. (Or none at all) So you want to be far enough away from any cities that the light pollution doesn’t hinder your visibility. There is a website called www.darkskyfinder.com to help you find locations with dark skies that are perfect for seeing that elusive Milky Way Core. Whew!!!! Ok now for the meat and potatoes of photographing the Milky Way. Equipment and settings. First you will need a DSLR or mirrorless camera with an interchangeable lens. You’re going to want a wide angle lens and also have a camera with the ability to shoot in manual. Now any beginner camera, regardless of make, will be a crop sensor, or ASP-C sensor. Some examples are Nikon D3500, D500, D7500, D5600, also known as DX series cameras. For Canon you have SL2/200D, EOS M50, EOS 80D, 7D. For Sony it’s the a6000 series. I will get to why that is important in just a minute, I promise. The lens you want is going to be as wide as possible. So something on a crop sensor in the range of 11-18mm. Now 11-18mm on a crop sensor is the equivalent of 16-27mm on a full frame camera. The wider the better. Next you will need a tripod. Because your exposure/shutter speed will be anywhere from 10-30 seconds, you will need to have your camera on a steady tripod. If not, your photo will come out blurry due to hand shake. So a tripod is a must. Now for our settings! First, we need to put our camera in manual mode. We need full control of our settings. Next we open up the aperture as wide as it will go. Each will have a different maximum aperture. Some are 2.8, some are 3.5, and some are 4. Whatever the lowest number is on your lens, use that. Next is our shutter speed. This is where a little bit of math comes in, as well as you knowing your focal length. Here is the formula for determining your shutter speed. 500/(focal length x 1.5) or 1.6x for Canon. I have a Nikon D3500 (ASP-C) with a Tokina 11-16mm F/2.8 lens. My focal length is set to 11mm. So my shutter speed is 30 seconds. Why do we need this formula for shutter speed you ask? Well, its because of the rotation of the earth! So as you leave your shutter open, the earth is rotating. So if you leave it open for too long, you will start to see the motion of the stars moving across the sky. In other words, the stars will start to streak because of earth’s rotation. In order to keep the stars sharp, you need to have a shutter speed short enough to keep from showing that movement. Magic! Now the last setting we need is our ISO. The ISO is basically the camera’s sensor sensitivity. Technically its applied gain, but let’s keep it simple for this tutorial. You’re going to want to bump the ISO up to a minimum of 2500. Now here I will tell you to take a shot. In most dark sky areas this will be enough to capture the core in all its beauty. However you may need to adjust the ISO. That should be the ONLY setting you adjust. So if the image is still too dark, raise your ISO up. Try 3200, or 4000. Thats it! Now my advice on focusing in the dark is this. Either focus on the furthest object during the day, then put some tape on your focus ring to keep it from moving. You can also try manual focus using the LED screen on the back of the camera. Zoom in using the screen on a star or if you have a flashlight/light source, and adjust manually until the object is sharp. Thats it folks! You are ready to photograph that beautiful night sky!